The GAROP report, ‘In Our Own Words’, is based on consultations with more than 2000 older people from 50 countries, including the UK, who were asked whether they feel discriminated against in older age. Mageni believes the accusations stemmed from concerns about who would inherit her parent’s land and livestock. ‘I’m always worried that they will return,’ she said. Despite these kinds of cases, older people’s right to be free from violence and abuse is not sufficiently protected under international law. There is also inadequate research into elder abuse, which makes tackling the problem even more difficult. ‘Research has demonstrated that elder abuse is the least surveyed of the different types of violence in low-income countries,’ said Bluestone. 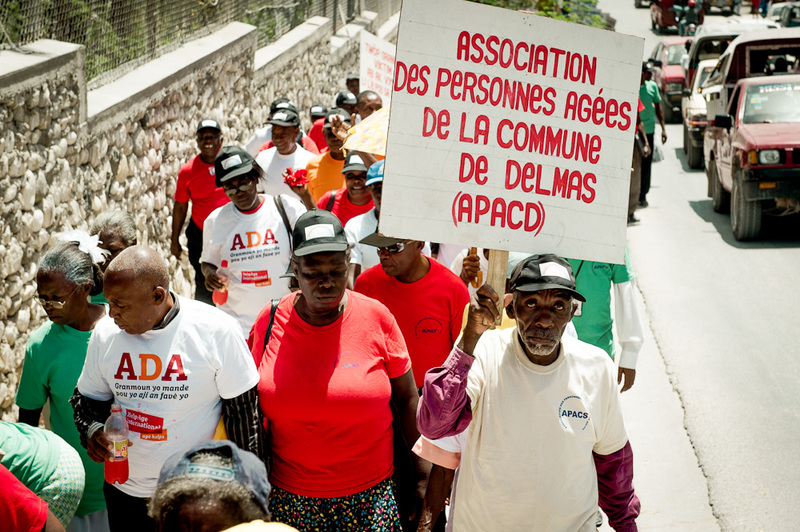 Older people march for their rights in Haiti. ‘We want to see the UK government take the lead in global efforts to put in place a UN Convention that would take us a step closer to ensuring human rights are for everyone, at every stage of our lives.’ said Bluestone. The Open-ended Working Group on Ageing is a UN working group that meets in New York. It was established by a resolution at the 2010 General Assembly. 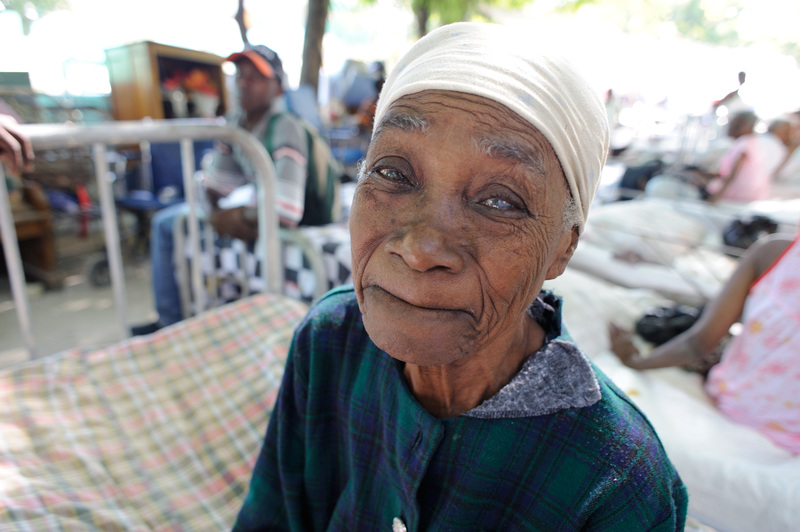 The OEWG’s main purpose is to strengthen the protection of the human rights of older people. Serbia: 15,000 people will be attending their ‘Third Age Fair’ which will discuss the importance of putting older people’s rights on the human rights agenda. Bangladesh: Traditional street theatre will be used to raise awareness around elder abuse issues. Russia: Two of our campaign partners are organising events and over 1,000 older people will take part. A flash mob of over 200 older people will also take place.